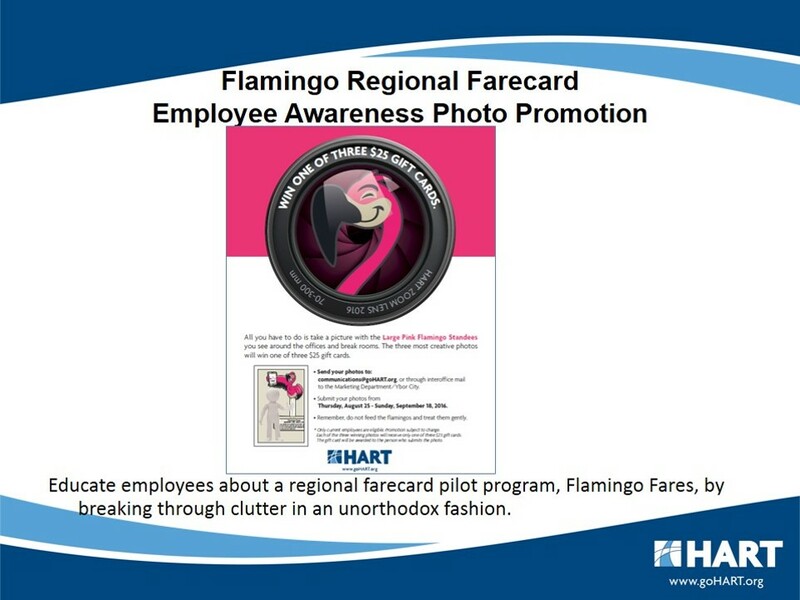 HART took on the task to break through the myriad of notices and flyers with an unorthodox campaign aimed at employees to generate awareness about and interest in, and educate about the new six month Flamingo Fares test pilot. The BrightSigns network allows RTS to customize audio/visual slides to educate staff on safety, policies, procedures and events. Slides are selected by management to address trends, correct deficiencies and increase morale and event attendance. Results have shown that the system is beneficial and has increased morale, safety, knowledge and attendance. 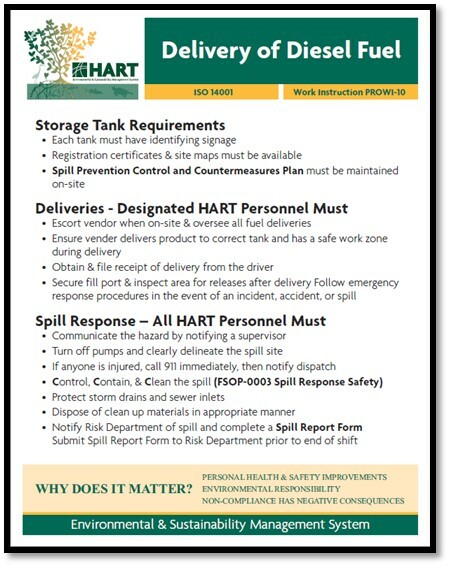 The Environmental & Sustainability Management System was Targeted to all HART internal employees, whose jobs can help the commitments of HART to be more environmentally friendly and conscious. 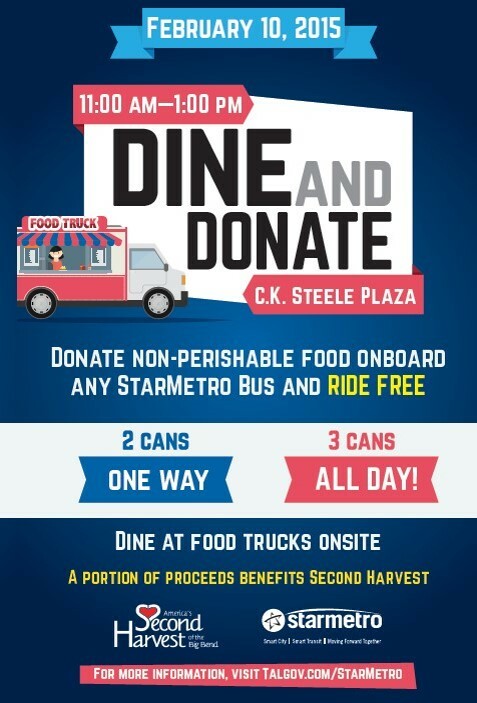 The StarMetro system was offering free fare to riders who donated non-perishable food items in conjunction with their Stuff the Bus food drive. 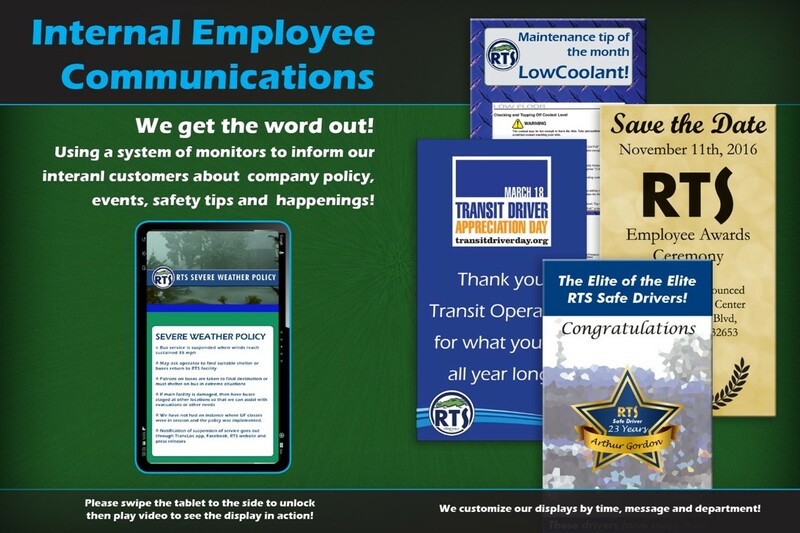 To ensure drivers were aware of the initiative, system representatives designed a flyer with necessary details that was distributed both digitally and physically to all StarMetro drivers. 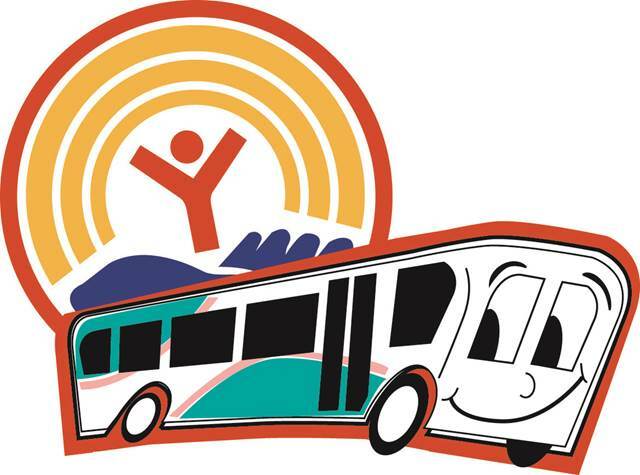 During the United Way campaign, Palm Tran employees stepped up efforts with events that fostered camaraderie and togetherness of the organization while raising funds for a great cause. By focusing on teamwork, this year's campaign raised a record Palm Tran amount of $19,890.17 and increased morale and cohesiveness among departments. 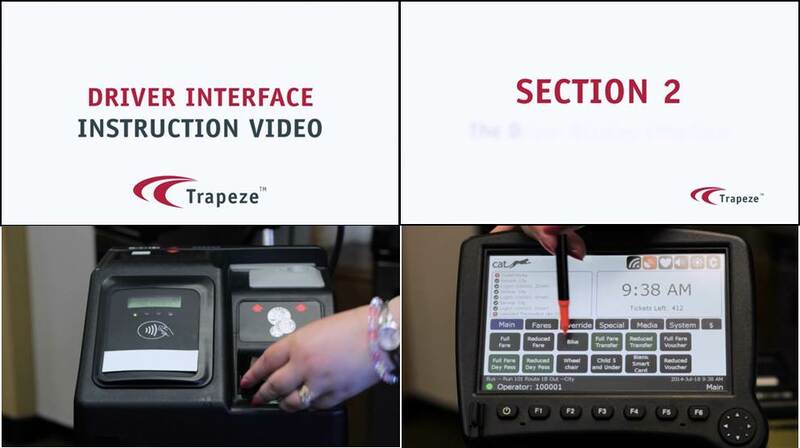 This entry consisted of a training video for new hires or to be used as a retraining resource for bus operators on how to use the new fareboxes. 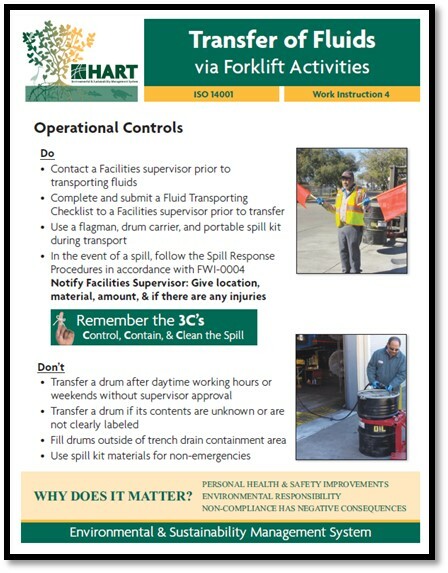 Palm Tran’s Marketing Department created three safety posters to alert employees about potentially hazardous items in their workplace environment. 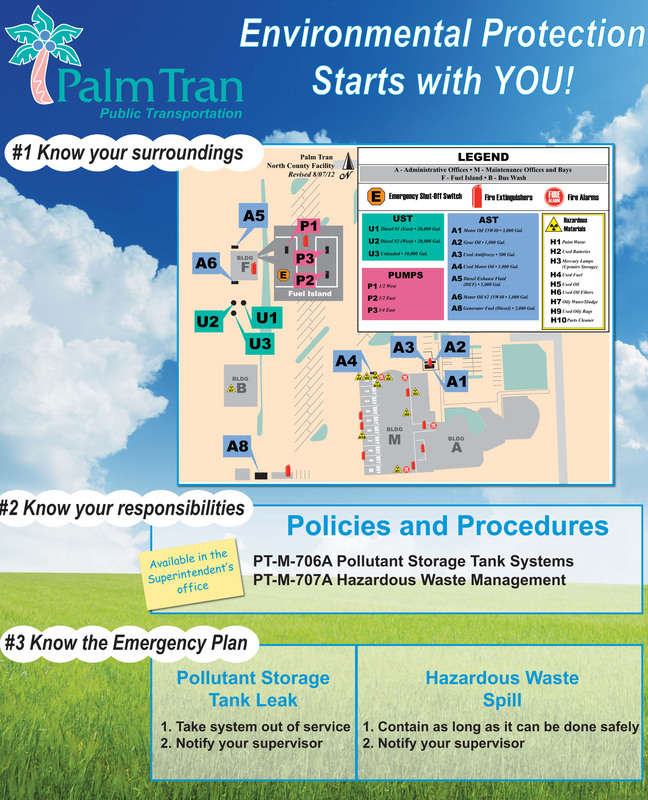 Titled “Environmental Protection Starts with You!” these posters provide a facility map which shows emergency shut-off switches, fire extinguishers and alarms, and the location of hazardous materials in the Maintenance Garage. Target Audience: Palm Tran Employees Project Cost: $0 Description: The National Committee for Employer Support of the National Guard conducts an award program designed to recognize employers who support the National Guard and the Reserve Forces. Employers qualify for recognition when they practice leadership action and personnel policies that encourage employee participation in the Reserve. Palm Tran is the only public transportation agency and one of only two employers in Palm Beach County to be honored. Stephon McAfee, a Palm Tran Bus Operator for 16 years, displayed his appreciation for the support shown by his employer while he served his country by nominating Palm Tran for this award. Stephon serves the U.S. Army Reserves as First Sergeant in the 841st Engineer Battalion. 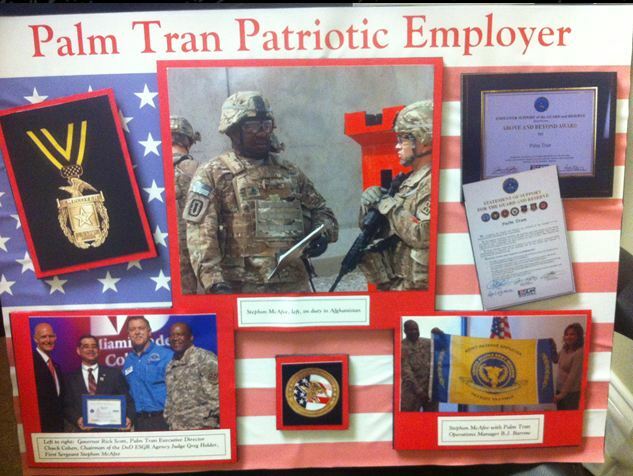 McAfee presented Palm Tran with a special flag and medal that are displayed prominently for all employees to see. The impact this event has had on employee morale has been significant because it clearly illustrates how an employer can impact our armed forces around the world. The display reminds employees of how one of their co-workers has put his own interests on hold while defending the country. The award presentation ceremony was attended by Governor Scott, as Palm Tran received this Award of Distinction at the battalion deployment ceremony. The 841st Engineer Battalion is comprised of 175 men and women and was deployed to Afghanistan on February 4, 2012 for a one year tour of duty. 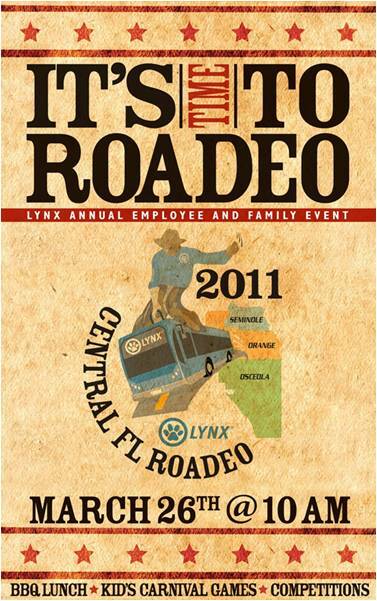 Target Audience: LYNX Employees Project Cost: $1,250 Description: The goal for this promotion was to attract attention to the Roadeo event and get employees enthusiastic about participating and/or attending with their families. The poster helped us accomplish both. The competition drew the usual number of participants, but there were significantly more employees involved as “judges” and volunteers at staging a carnival of kids games to entertain families. That, in turn, helped bring more families to the event. Though no records are kept for attendance, nearly 500 people were served at the lunch and long-time employees say it was the best attended Roadeo ever. Target Audience: LYNX employees Project Cost: $100 Description: This design helped draw 67 contestants to our Fourth Annual Art Contest. The creative look of the design re-energizing the contest. 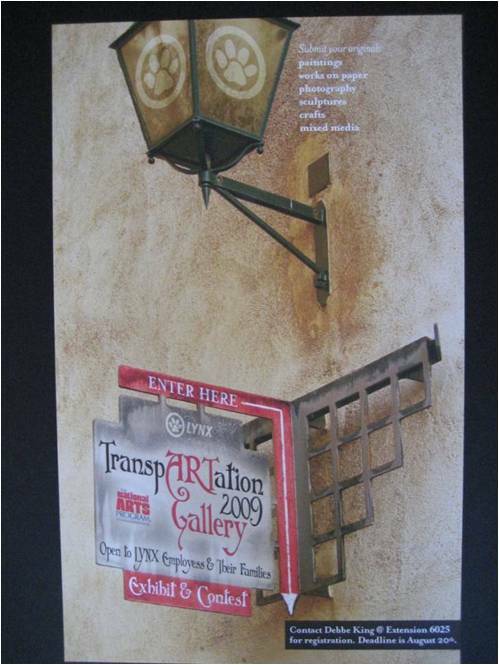 It went so well, that we displayed the art at the APTA national convention in October 2009 and had inquiries from 20-25 agencies about how they could run a similar contest for their employees. Transit officials from all over remarked on what a great morale building event it would be for their employees. Target Audience: LYNX Employees Project Cost: $30 Description: There were a number of elements that made this poster a hit at LYNX. 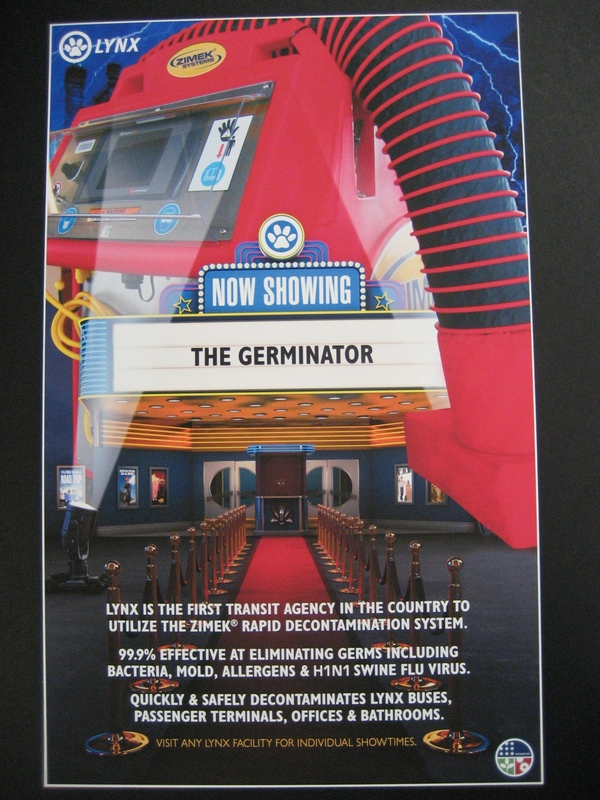 It had personal appeal because LYNX was the first transit system in the country to use the Zimek Disinfecting System. It had timing because the poster was produced at the height of the H1NA flu virus. And it had sizzle because everybody loves a blockbuster. What could have been a very dry, very boring subject, came off as a box-office smash. 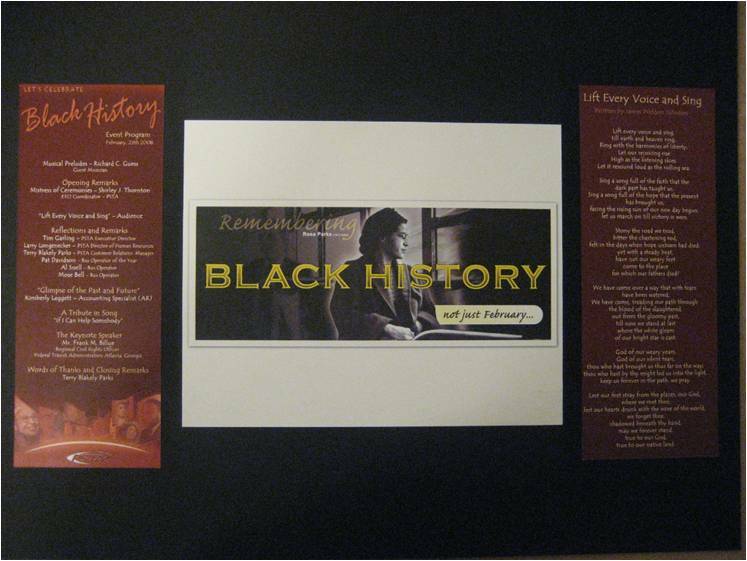 Target Audience: All PSTA Bus Passengers Project Cost: $1,080 Description: Black History Month is a remembrance of important people and events in the history of people of African descent. This is the first year that PSTA celebrated with an internal employee event, which featured guest speaker Mr. Frank M. Bilue, the regional Civil Rights Officer for FTA and several PSTA employees who reflected on their own experiences on how times have changed. A subtlety attractive program card was designed to convey the agenda. 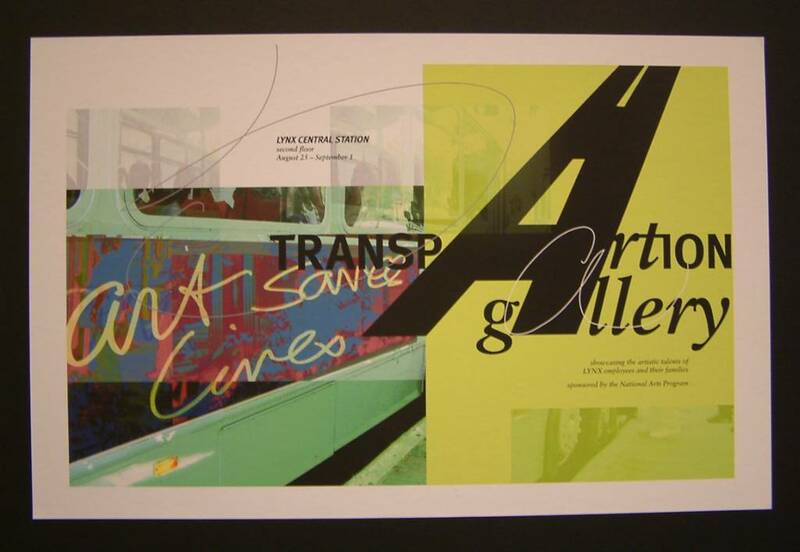 To extend the celebration to PSTA’s Bus Operator’s work environment and our riders; a commemorative interior bus poster featuring Rosa Parks designed to acknowledge the contribution she made through her single act of courage, refusing to give up her seat that changed the face of public transit forever. Since Rosa’s actions during the Civil Rights Movement heavily impacted laws governing public transit buses it was decided to not limit the promotion to the month of February, rather the poster was designed with the statement “not just February,” to show that her contributions deserve year round recognition. The poster is not only beautiful, but the message is effective. 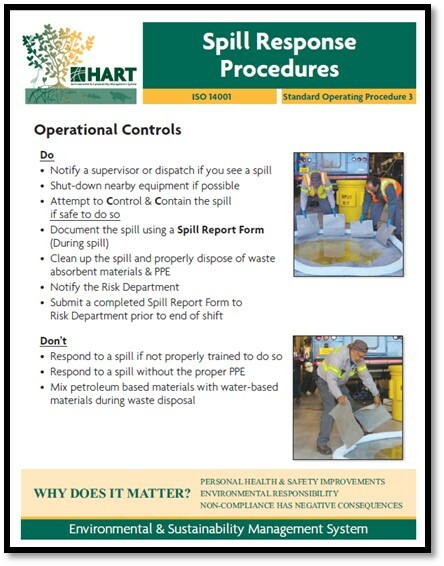 Many employees have framed the poster and many more have requested copies for their own use. Target Audience: All RTS employees interested in living a healthier lifestyle. Project Cost: $4,000 Description: This campaign was implemented to motivate employees to improve their health. 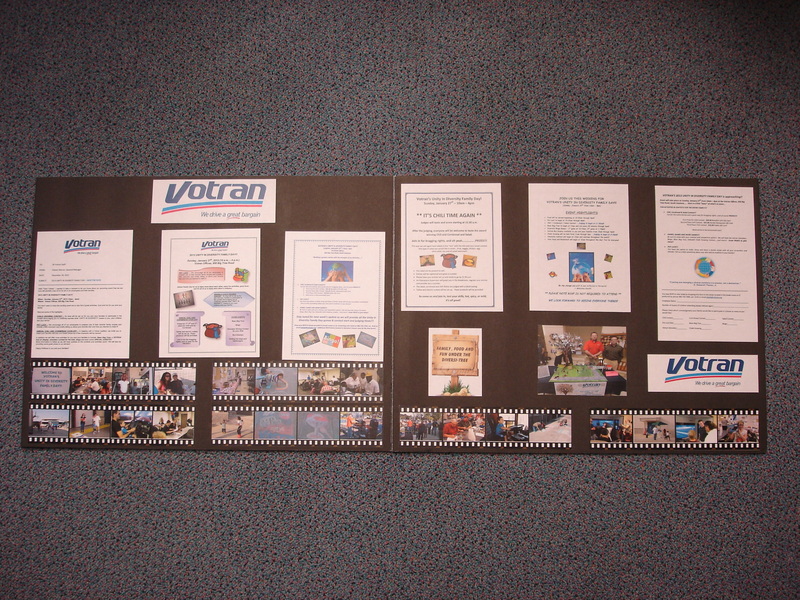 Flyers and posters were created to promote the program, as well as incentives and events. Small index cards were also created for employees to carry with them and articles about the program were published in the RTS Employee newsletter and the City of Gainesville Employee newsletter. Since its launch on May 7, RTS has successfully motivated 35 employees to participate in the program, with approximately 20 losing weight and one employee actually eliminating her type 2 diabetes. Overall, RTS increased its employee awareness about their health and employees are excited to learn how to live healthier lifestyles. 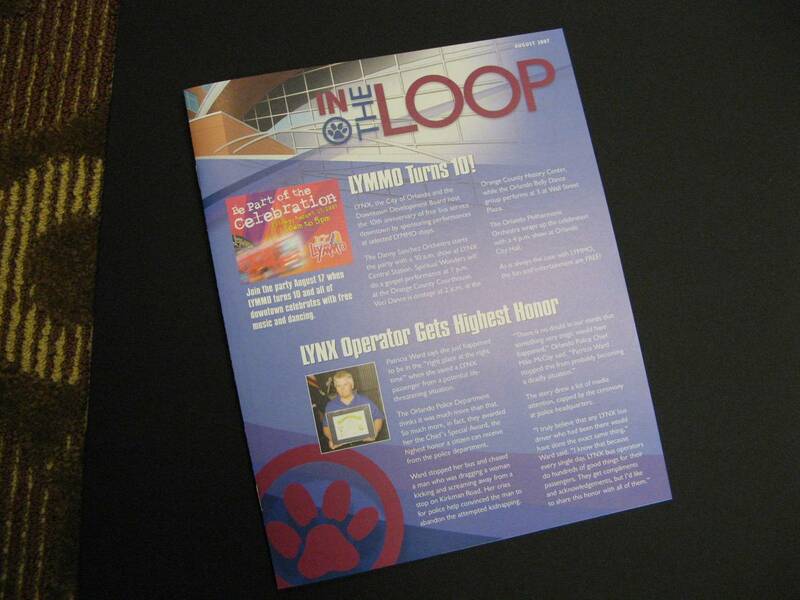 * Best of the Best * Target Audience: LYNX Employees Project Cost: $1700 Description: “In the Loop” is a dramatic departure visually from the previous internal company newsletter. Employee response has been 100 percent favorable! The four-color format (previously two-color), the bold expressive layout (previously a plain, standard formula), and reduced size got WOW! responses from employees who previously just glanced at the newsletter. 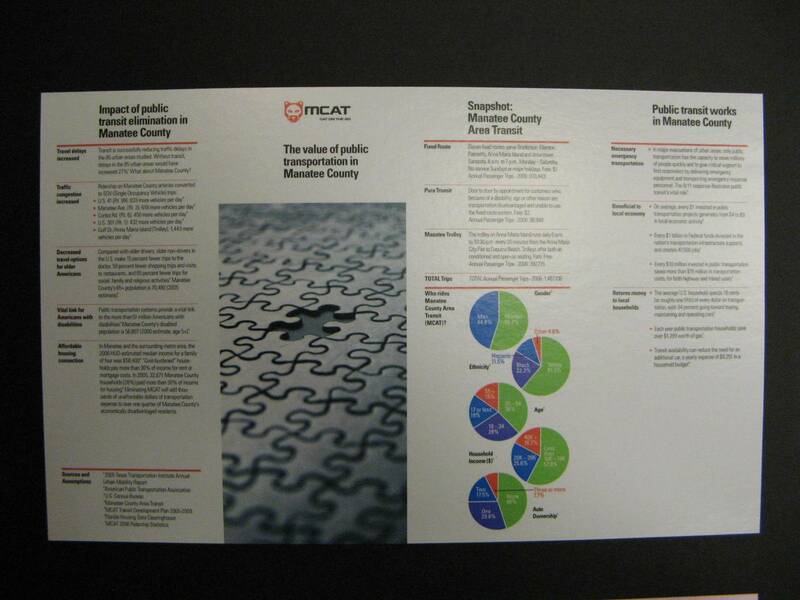 Target Audience: Political/Administrative County Decision Makers Project Cost: $250 Description: This two-sided, four panel brochure was designed/produced in-house and distributed to Manatee County Commissioners/County Administration decision makers during the recent property tax budget reductions. MCAT was proposed for elimination by County Officials as a cost cutting measure. Effectiveness: By educating/enlightening decision makers of the impact of MCAT elimination would have on Manatee County as well as the economic benefits of a local transit agency, MCAT was spared elimination and only required to cut $500,000 from its annual budget and authorized to continue service expansion and complete capital projects such as new transit stations. Target Audience: MCAT Drivers Project Cost: $394 Description: These 2X3 posters were part of a comprehensive training enhancement program undertaken by MCAT. The series of 6 are posted one at a time in the lunch room and rotated every 30 days. Recent statistics indicated that of 21 MCAT bus accidents over the previous 12 months, only 7 were attribute to MCAT. Additionally, annual driver attrition dropped from a high of 27% in 2003 to less than 1% in 2005.